Autism Aspergers Advocacy Australia (A4) is a national grassroots advocacy organisation providing systemic advocacy for people with autism and others living with Autism Spectrum Disorder (ASD). A4 is focussed on the development and promotion of national ASD policies and priorities. Learn more by visiting Autism Aspergers Advocacy Australia. BCA is the united voice of Australians who are blind or vision impaired. BCA provides information, peer support, individual and systemic advocacy, and consultancy services. Whether you are blind, have a vision impairment, a family member or friend of a person who is blind or vision impaired, BCA is there to assist you. Learn more by visiting the BCA website. Brain Injury Australia (BIA) provides information and a gateway to nationwide referral for optimising the social and economic participation of all Australians living with brain injury. It was formed at the first national community-based conference on Acquired Brain Injury (ABI) in 1986. Learn more by visiting Brain Injury Australia. Deaf Australia is the national peak advocacy and information organisation in Australia for Deaf people who are bilingual – using both English and Auslan (Australian Sign Language). Deaf Australia advises government, industry, and service providers about the needs and views of Deaf people, and work to improve Deaf people’s access in a range of areas. Learn more by visiting the Deaf Australia website. Deafblind Australia (formerly Australian DeafBlind Council ADBC) was set up as an advocacy organisation for people with deafblindness and their families, following the National Deafblind Conference in Melbourne in 1993. Deafblind Australia educates members of the public and relevant government organisations about deafblindness. Learn more by visiting the Deafblind Australia website. Deafness Forum of Australia is the national peak body representing all interests and viewpoints of the one-in-six Australians who are deaf, deafblind, have a hearing loss or a chronic ear or balance disorder, and the families who support them. Learn more by visiting the Deafness Forum of Australia website. DANA supports and strengthens independent disability advocacy organisations in their work of advocating for and with people with disability so that they are valued and included members of the community, their fundamental needs are met, and their human rights respected. DANA is a network of organisations throughout Australia that undertakes or provides individual advocacy, systemic advocacy, self-advocacy, citizen advocacy, legal advocacy or family advocacy. Learn more by visiting the DANA website. 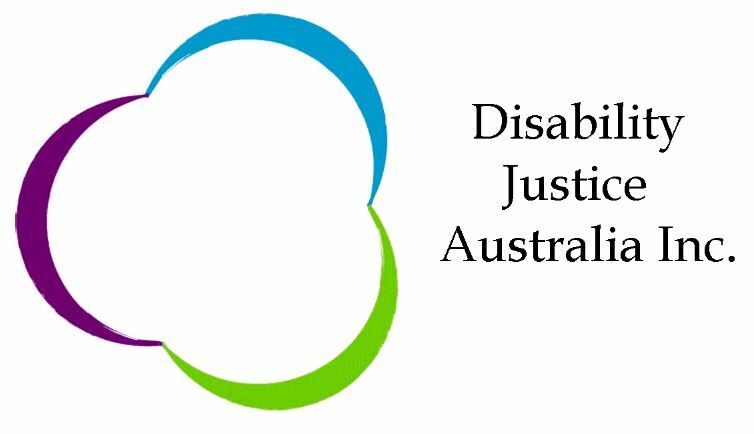 Disability Justice Australia Inc is the leading provider of advocacy and support services for people with disabilities. DJA provide advocacy support to people who have ongoing support needs as a result of disability, and is funded to provide NDIS appeal support to people with disabilities who live in one of the 5 Local Government areas in Victoria – Banyule, Whittlesea, Yarra, Nillumbik, and Darebin. DJA’s focus is about working with the person with a disability and supporting their needs, rights and interests to address and resolve issues they identify. It is independent of all other services and free of conflicts of interest. There is no charge to use the service. Learn more by visiting the DJA website. The Disability Resources Centre (DRC) is a membership-driven organisation managed and staffed by people with disabilities. It provides individual advocacy for adults with disability, and also work on systemic issues and support campaigns which aim to provide long-term benefits for many people. Learn more by visiting the DRC website. Down Syndrome Australia is the peak body for people with Down syndrome in Australia. Its purpose is to influence social and policy change, provide a national profile and voice for people living with Down syndrome. Down Syndrome Australia works collaboratively with the eight state and territory Down syndrome associations to achieve their mission. Its vision is an Australia where people living with Down syndrome are valued, reach their potential and enjoy social and economic inclusion. Learn more by visiting the Down Syndrome Australia website. Enhanced Lifestyles is a not-for-profit organisation which provides in-home and community support services to children and adults living with disabilities. It was formed by, and is governed by people with a disability. Its services are provided in home and are designed to assist people to remain independent within their homes and the community. The organisation was formed in 1990 and was specially formed to offer people choice and control over their services, a revolutionary concept at the time. Learn more by visiting the Enhanced Lifestyles website. Inclusion Australia is the leading national voice on issues of importance to people with intellectual disability in Australia. It works to raise expectations, recognise potential and promotes the value of people with intellectual disability. Inclusion Australia works locally, nationally and internationally, providing policy expertise and advice to drive systemic change. Learn more by visiting the Inclusion Australia website. People with Disabilities ACT (PWD ACT) is a Peak consumer voice for people with disabilities in the ACT. It represents. promotes and supports the collective interests of people with disabilities, and works to bring about an inclusive society by advocating for the removal of all barriers which prevent people with disabilities from participating fully in community life. Learn more by visiting the PWD ACT website. People with Disabilities WA (PWdWA) was established in 1981, and provide non-legal advocacy to people with disabilities. Its advocacy services are available to any person with a disability. You do not have to be a member to access advocacy. All of the advocacy work that PWdWA follows the principals of the National Disability Strategy. Learn more by visiting the PWdWA website. PDA is a national peak Disability Peoples Organisation (DPO) run by people with physical disability for people with physical disability. PDA was founded 21 years ago and has over 1,000 members from all Australian states and territories. Its aim is to enable every Australian living with a physical disability to realise their full potential. Learn more by visiting the PDA website. Women with Disabilities ACT (WWDACT) is a systemic advocacy and peer support organisation run by women with disabilities for women with disabilities. Established in 1995, WWDACT follows a human rights philosophy, based on the Convention on the Rights of Persons with Disabilities (CRPD) and the Convention on the Elimination of (All Forms Of) Discrimination Against Women (CEDAW). It works with government and non-government organisations to improve the status and lives of women with disabilities in the ACT and surrounding region. Learn more by visiting the Women with Disabilities ACT website. Women with Disabilities Victoria is an organisation of women with disabilities in Victoria with a diverse and growing membership. Its members have a range of disabilities, backgrounds, lifestyles and ages. WDV recognises that women with disabilities are among the most marginalised in our community and empowers women with disabilities to achieve their rights in Victoria. WDV focus on those areas where gender inequity and/or disability have the biggest impact on the capacity of women with disabilities to be respected and to fully experience life. Learn more by visiting the Women with Disabilities Victoria website.